Luxury Eviction drives with a minimalist approach to musicality but a deeper set of ideas on this single from the upcoming album Master Of None. Altered Cinder is far more of an artistic moment than a simple song for the masses. The alternative edge pours through in a number of ways, a leading one being this meeting between the retro soundscape and a seemingly free, meandering emotional vocal. 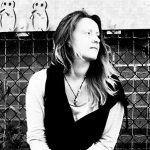 The song takes its time to give the listener something familiar to cling to – those building blocks that repeat do so quite far in to the journey, so before then you’re really just working out the sound and listening to the ideas and how unique the whole thing is. Later on, as the earlier sections reappear, flickers of comfort intertwine with the creativity, and there’s suddenly a much more accessible feel to it all. Blair B’s leading voice on this single and indeed the way she crafts her long-form melodies and thoughts has, for me, something of an Alanis Morissette feel. Not so much the bigger, mainstream hits but those hidden gems that would appear within the depths of an album. The lyrics and even the melody to an extent feel like unedited outpourings, an artist working out the world and letting you go along for the journey. As that heightened melodic moment hits once more, you get swept away on the passion of it, and with the ongoing, mellow electronic beat running consistently in the backdrop – the contrast is quite fascinating. The upcoming album is one that intrigues, for sure. Well worth looking out for. Pre-order Master Of None via Bandcamp. 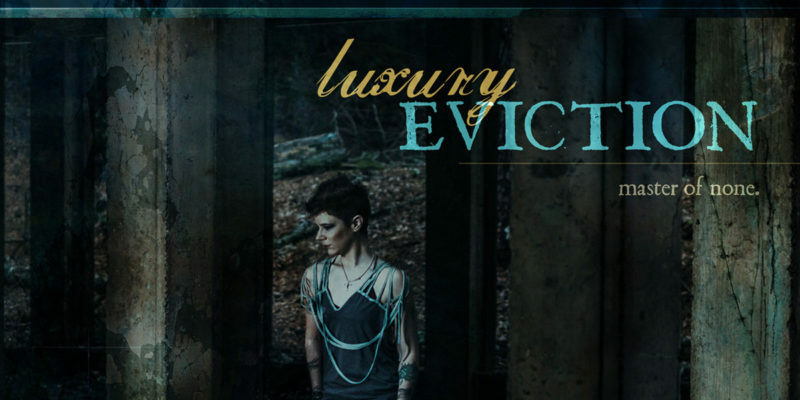 Find & follow Luxury Eviction on Facebook & Instagram or visit their Website.